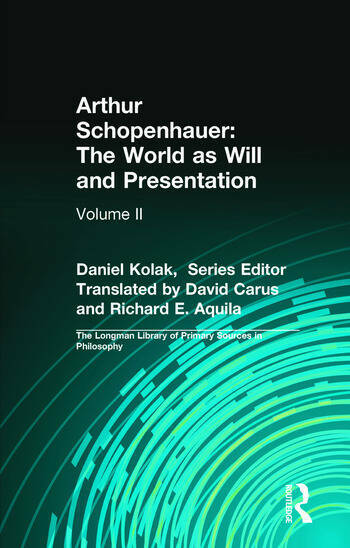 This second volume of Schopenhauer's World as Will and Presentation is framed by a pedagogical structure designed to make this important work of philosophy more accessible and meaningful for undergraduates. With in-depth, user-friendly introductions, copious notes to clarify difficult or important passages, and a rich index, each volume makes the masterworks of philosophy accessible to students and emphasizes their relevance to contemporary issues and debates. World as Will and Presentation, V. II, with Annotations.